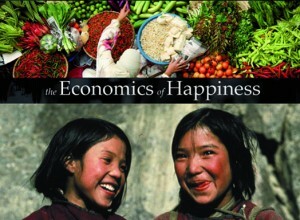 Award winning documentary the Economics of Happiness is getting its Wilmslow premiere at an event at the Wilmslow Library on Wednesday 6 March at 7:30pm. The documentary describes a world moving simultaneously in two opposing directions. On the one hand, government and big business continue to promote globalisation and the consolidation of corporate power. At the same time, all around the world people are resisting those policies, demanding a re-regulation of trade and finance and, far from the old institutions of power, they’re starting to forge a very different future. Both hard-hitting and inspiring, ‘The Economics of Happiness’ demonstrates that millions of people across the world are already engaged in building a better world. The film shows that countless people are united around a common cause: rebuilding more democratic, human scale, ecological and local economies – the foundation of an ‘economics of happiness’. The hour-long documentary features stunning images, as well as a powerful chorus of voices calling for systemic economic change, including Vandana Shiva, David Korten, Michael Shuman, Richard Heinberg, Rob Hopkins, Juliet Schor, Zac Goldsmith, Bill McKibben, and Samdhong Rinpoche, the Prime Minister of Tibet’s government in exile. The screening will be followed by refreshments and an opportunity for discussion. Entrance to the event is free, but donations to Transition Wilmslow to help cover costs and fund future events will be very welcome. Transition Wilmslow is holding a Landscape Strategy Workshop this Friday, 14th December from 7-9 pm in the Wilmslow leisure centre upstairs meeting room. We will be holding an interactive workshop to plan our future approach and work on this project. 4) Healthy living – planning actively for good health. 5) Sustainable transport.All of which fit well into the Transition model. You may also have noticed from a two page spread the 6th December edition of the Wilmslow Express in an article about the Wilmslow Trust meeting on an alternative Wilmslow vision that Transition Wilmslow was mentioned as a possible partner group to support this work.There are a number of threats and opportunities out there for us to consider and to allow us to put a Transition shape on this agenda and identify the future work we want to do to further our aims for both the Transition agenda generally and the town. Part of the workshop will canvas opinions on what these opportunities and threats are and what we might want to do This is an opportunity for Transition Wilmslow members to have their input. Please come along and give us your views. This land was classified as green belt until June of this year when it’s status was changed. The plans would involve eviction of residents, the destruction of valuable green space for local people, an increase in travel congestion, carbon emissions and noise pollution from the airports cargo services. The area to the south of the Airport is currently home to residential houses and greenfields and also borders onto Cotterill Clough – a Site of Special Scientific Interest. The Airport claim new jobs will be created. However, many of these jobs will not be ‘new’ but simply ‘displaced’ as existing firms re-locate from other areas of Greater Manchester to take advantage of the cheap business rates on offer. Local residents at Ringway and Hale Barns are opposed to these plans. They have also objected to proposals to demolish people’s homes at Hasty Lane nearby. 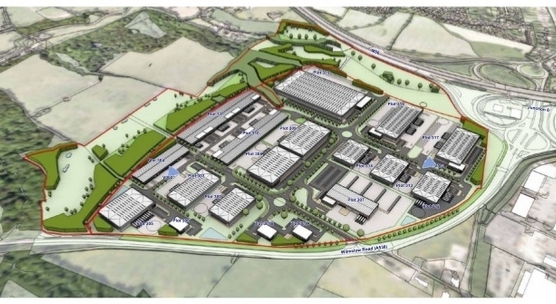 The deadline for objections is fast approaching so if you are concerned with the development be sure to sign the online petition at http://www.change.org/en-GB/petitions/save-sunbank-lane-from-manchester-airport-s-expansion-plans. Transition Wilmslow and Cycle Wilmslow are hosting another bike ride from the September market on Saturday, 15th September, and invite you to join in. This month we will be heading out to the Airport Viewing park and stop for refreshments, a ride of approximately 10 miles. So why not dust down your bike and come and join us for a leisurely ride. Registration will commence at 10am at the Transition Wilmslow stall on Grove Avenue and the bike ride will start at 1.30pm.